Corey Gaidzoinis finishing the time trial. Right: Phil Deisel about to start. 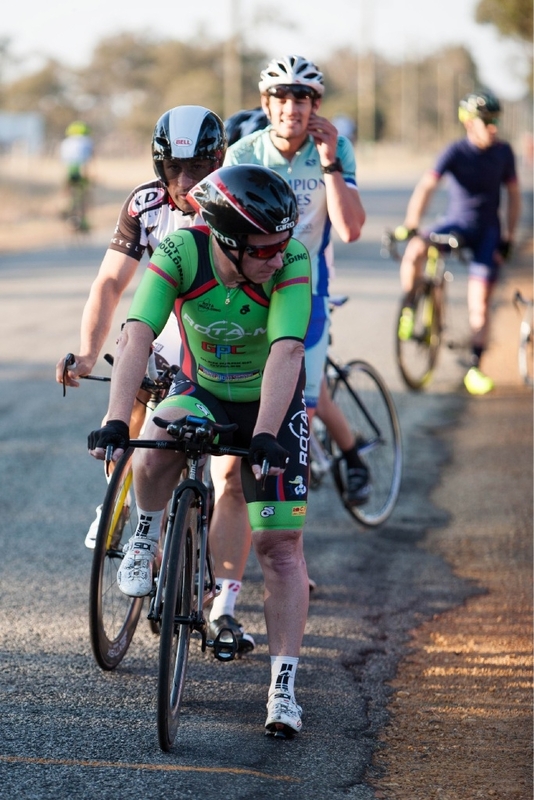 The race course is 8km south, down the challenging surface of Hopelands Roads into the usual headwind before turning round and returning up the same road, this time with the assistance of a tailwind to the community centre. At this time of the year, the wind is moderate and a number of riders set personal best times over the course. 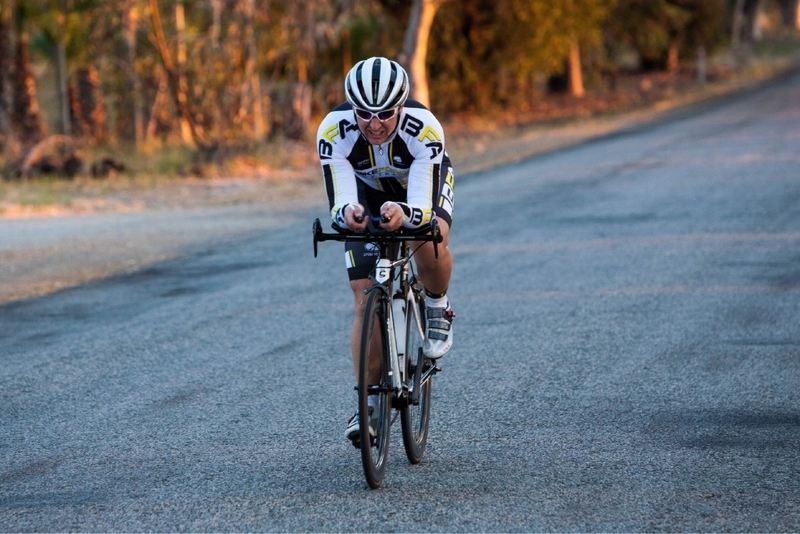 A number of other riders who had spent six months off their time trial bikes were well off their best time. The next seven weeks will show who is the most improved rider of the season, a rider who started the season prepared or unprepared. The other competition is the fastest rider over the eight weeks.